Diving Tulamben and Amed | Why and When to Go? Planning a scuba trip to Tulamben and Amed in Bali? Are you wondering what to see and when the best time to go scuba diving in Tulamben and Amed is? We explain it all. When is The Best Time to Dive with Mola Mola in Bali? The Mola Mola in Bali can be found during the months July through November. Although this is no guarantee these are the months the Mola Mola is often seen in Bali. Wondering where to go scuba diving in Padang Bai and Candidasa in Bali? This article explains how to get there, what to see underwater and reveals the best scuba dive sites in Padang Bai and Candidasa. Why Diving Nusa Penida Should Be on Your Bucket List? Nusa Penida in Bali is famous for the manta rays and ocean sunfish which call the waters surrounding this Island home. This article explains why Nusa Penida should be on your scuba list. 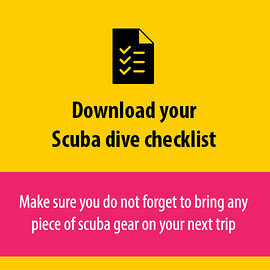 Looking for more information regarding the best dive sites in Bali? In this blog post we take a look at 5 must visit scuba dive locations in Bali. Looking for more info about the Wreck of the SS USAT Liberty? This post explains more about the history, how to get there and when to dive the SS USAT Liberty.